ST. GEORGE — Springdale officials recently announced road closures for Saturday morning for the annual Butch Cassidy 10k/5k Fun Run. 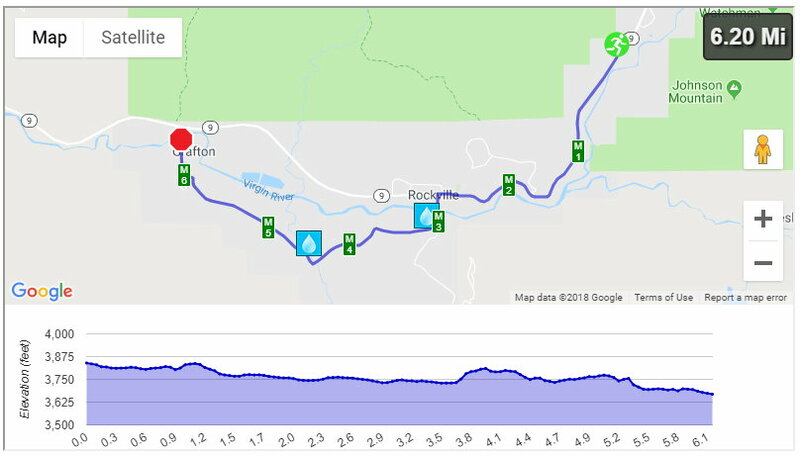 “The Butch Cassidy Race follows a scenic course along the Virgin River from Springdale to the historic Grafton ghost town,” according to the race information found on raceentry.com. The race is a community event that raises money for the Grafton Heritage Partnership Project and other charitable causes. The Grafton Heritage Partner Project consists of local, state and federal agencies and private groups that work together to restore and preserve the Grafton ghost town near Zion National Park. SR-9 will be closed from Springdale to Bridge Road from 8:45-10 a.m.
Bridge Road will be closed from 8:45-10:30 a.m.
Grafton Road will be closed from 8:45 a.m. until 12:30 p.m., or until all participants have arrived in Grafton. No parking will be allowed in Grafton. Wow, nothing like closing the only road into Zion for over a hour on a Saturday?..and a Holiday weekend to boot?